For the broader public, cryptocurrencies and blockchain technology remain one of the enigmatic forces in the financial services industry. Following the recent launch of a new series on Netflix, Explained, this topic took center stage this past weekend, which picked up Finance Magnates coverage of the blockchain industry. Explained is aired in over 190 countries, with each episode airing in twenty-seven languages globally. The series focuses on a number of different topics, ranging from DNA editing to cryptocurrencies and everything in between. Most recently, however, it was the series’ emphasis of blockchain technology, which stands to change much more than the financial services industry. 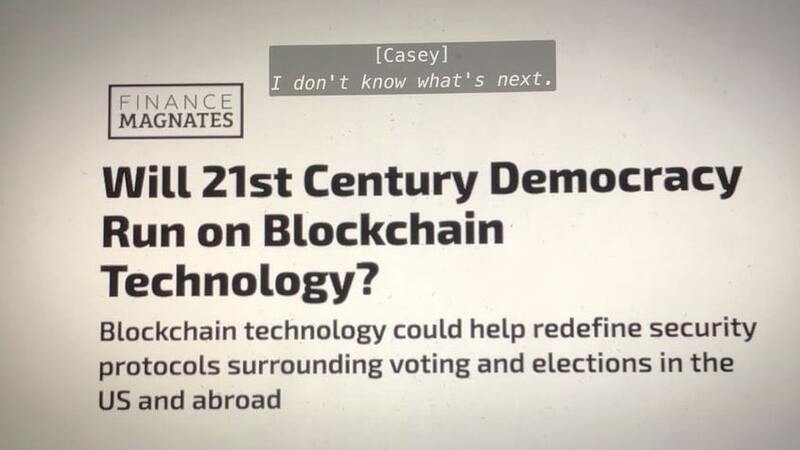 During the segment, Finance Magnates’ coverage of the blockchain sector was included, emphasizing the role of the technology in future voting techniques and elections. The notion that blockchain could help shore up voting security is a huge draw for both countries and governments, especially during a time when fears amongst voters regarding hacking, foreign intervention, and foul play is at an all-time high. The episode also touches on the raw potential of blockchain technology, which many see as untapped. With several advantages, blockchain should be viewed as far more than a buzzword or new fad, but rather a disruptive force that could redefine several industries.